The European Union Global Strategy (EUGS) is the second major official strategic document of the European Union (EU) in matters of security and foreign policy. It was presented in 2016 by the current High Representative of the Union for Foreign Affairs and Security Policy (HR), the Italian Federica Mogherini. The EUGS was launched following the time with Catherine Ashton as HR and Javier Solana’s 2003 European Security Strategy (ESS), after 9/11 and Europe’s internal miscoordination in the context of the war in Iraq. This is a relatively recent document and, consequently, there aren’t many scholarly analyses of the most recent European strategic document. However, in an effort to review the relevant literature, we here highlight ten articles that allow us to identify the two most pertinent categories filtering the academic exploration of the topic. The first category, here represented by four academic articles, explores the EUGS and place it within its proper context, mentioning the most relevant issues and challenges currently facing the Union. While this first category looks at European action on matters of foreign and security policy as a reactive and passive response to the problems of the international landscape, the second category (equally represented by four articles) pertains to the attempt of the EUGS of projecting something towards the future; be it the EU´s normative responsibility, or by stressing the role the Union assumes as a relevant diplomatic player, or as an attempt to promote internal cohesion through coordinated external action. This brief analysis of relevant articles pertaining to the EUGS, however, starts by mentioning two articles that take a different approach to the topic. 1. The making of the EU Global Strategy Nathalie Tocci (2016), Contemporary Security Policy 37(3), pp. 461-472. This first article looks at the EUGS from behind the scenes, focusing on the process that culminated with the presentation of the document, the negotiations led by the HR and the difficulties that accompanied the process. The article provides an interesting point of view that escapes the pure analytical viewpoint. 2. 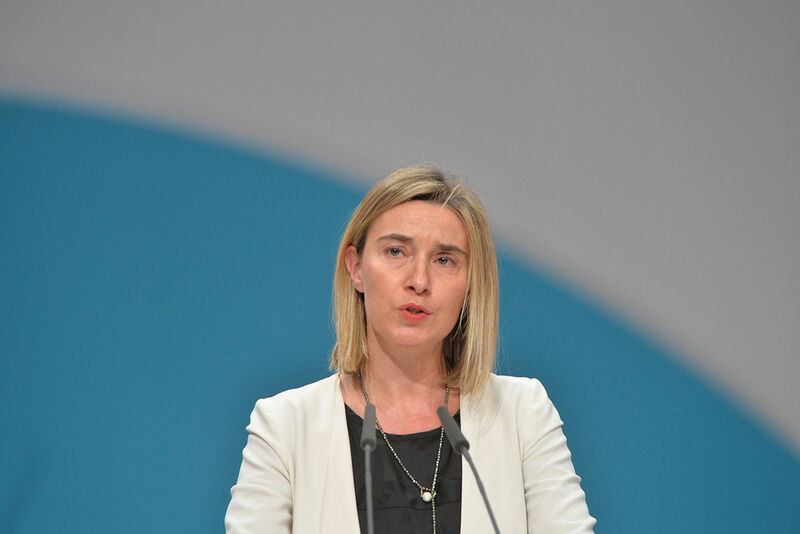 Resilience as the new EU foreign policy paradigm: a pragmatist turn? Ana Juncos (2017), European Security 26(1), pp. 1-18. This second article explores a paradox arising out of a closer look at the EUGS, concerning the idea of a “principled pragmatism”. The article puts forward the question of the extent to which these two seemingly opposing ideas coexist within this document: the idea of a principle-oriented strategy with the idea of a pragmatic-oriented strategy. And thus, we enter the first category of articles that cover the challenges advanced in the EUGS as the key issues the Union must address. We also look at the problems as forming the necessary context that require the existence of such a document and look at the EU’s assumed necessity to responding to them. 3. All or nothing? The EU Global Strategy and defense policy after the Brexit Sven Biscop (2016), Contemporary Security Policy 37(2), pp. 431-445. According to this article, one of the most prevalent current challenges for the EU is the Brexit. This article puts forward the question concerning the extent to which the EUGS’s claim on greater European autonomy on matters of security policy in relation to the US is jeopardized or conditioned by the UK’s decision to leave the EU. 4. Migration and the EU Global Strategy: Narratives and Dilemmas Michela Ceccorulli & Sonia Lucarelli (2017), Contemporary Security Policy 52(3), pp. 83-102. In addition to Brexit, the other important contextual shift from the previous strategic document, Javier Solana’s European Security Strategy, is the migration crisis. This article explores how the EU has and is likely to respond to this crisis, and in what way this crisis reflects internal dispositions. 5. EU Global Strategy in a changing world: Brussels’ approach to the emerging powers Jolyon Howorth (2016), Contemporary Security Policy 37(3), pp. 389-401. This article is very interesting in that it affords a description of the geopolitical and international scene by identifying the most relevant players therein, while connecting the latter with the EU’s claim as a relevant diplomatic actor. 6. Implementing the Global Strategy where it matters most: the EU’s credibility deficit and the European neighborhood Michael E. Smith (2016), Contemporary Security Policy 37(3), pp. 446-460. The last article in this section goes over the necessity the EU has identified of focusing on its borders to contain any eventual consequences to the European territory stemming from its neighbourhood, as well as to track the movements of the emerging powers that claim influence on the territories that border with the EU. We have seen, from the previous four articles, analyses of the challenges composing the milieu in which the EUGS was drafted and to which it is meant to respond. But there is another side to this type of strategic document which consists on arguing that, in addition to making the necessary mentions to current problems, the EUGS, and previously the ESS, projects the Union’s own foreign policy identity. In other words, instead of having a reactive and passive role by responding to the challenges that exist, the EUGS is also future-oriented, assuming a proactive and affirmative role as well. As the title suggests, the policy-oriented paper arguments that the EUGS represents a call to unity, and a project that would contribute to internal cohesiveness. 8. The European Union Global Strategy: What Kind of Foreign Policy Identity? Kateryna Pishchikova & Elisa Piras (2017), International Spectator – Italian Journal of International Affairs 52(3), pp. 103-120. This article advances an interesting proposition, which is that the 2016 EUGS document is a soberer exercise than Javier Solana’s 2003 ESS document. The authors argue that this is the case because the former document recognizes the EU’s own deficiencies in terms of internal cohesion and its limits in terms of external action. 9. From the ESS to the EU Global Strategy: external policy, internal purpose Maria Mälksoo (2016), Contemporary Security Policy 37(3), pp. 374-388. By contributing to the framework of interpreting the EU’s strategic documents as an indirect exercise at “ordering the self”, this article advances a sophisticated analysis and builds upon the concept of ontological security. Based on this concept, the author interprets the EUGS, and the ESS before it, to be a direct exercise of diagnosing the international and geopolitical landscape and to make it intelligible. The author also identifies the EU’s discourse as an indirect exercise of finding a specific foreign identity and projecting thereof. 10. The EU Global Strategy: from effective multilateralism to global governance that works? Balazs Ujvari (2016), Egmont Security Policy Brief 76, July 2016. Finally, the last paper – a policy brief – builds upon the classical analytical point of view afforded by several scholarly articles that have explored EU’s external action as a call to a normative responsibility. Corroborating inputs from previous articles already mentioned in this brief literature review concerning the EUGS, it argues that, albeit reinstating the Union’s normative responsibility, that end is now furnished by soberer and more pragmatic means.